I'm finally getting some time to catch up on the stacks of decor magazines I receive each month. I think I have over 15 subscriptions. I came across this home featured in Traditional Home located in Aspen, Colorado and immediately fell in love. Isn't this space spectacular? Classic with a modern twist. I'm loving that fireplace and everything else in the room for that matter! 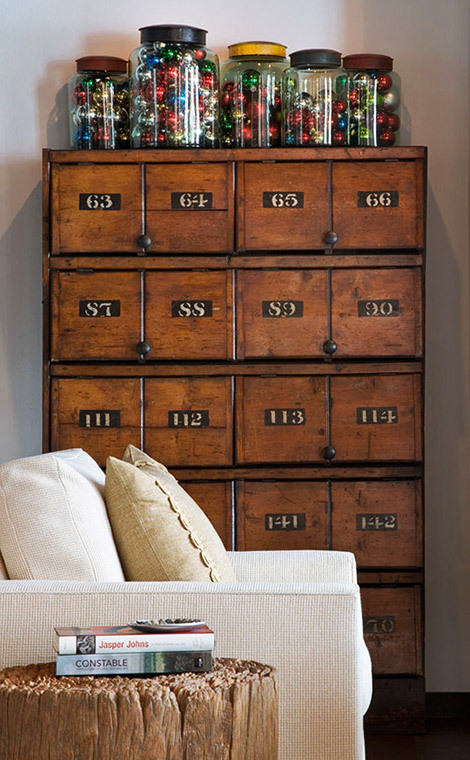 I'd really like to get my hands on one of these.. a cabinet once used to sort monk's mail at an old monastery. 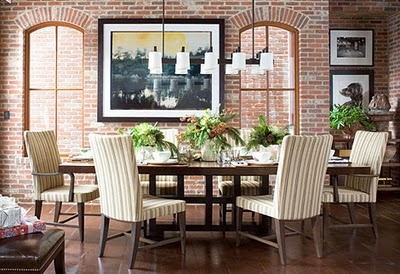 Exposed brick in the dining room. Fabulous! Check out the views from the master bedroom deck! Amazing! 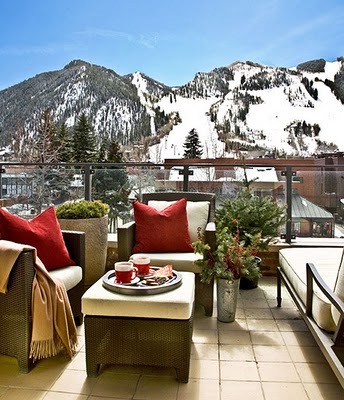 Makes me want to take a trip to Aspen!